Image of the changing Seasons from Johanna Basford's Lost Ocean colouring books. Relax and decorate how ever you wish. These inky images leap off the page and onto ready-to-hang artist-quality canvases Explore all of Johanna's worlds, from the Secret Garden, through the Enchanted Forest to the depths of the Lost Ocean. Each canvas features an intricate original design printed on 8 oz. primed cotton, stretched around an acid-free paper board and a 3/4" deep pine frame. 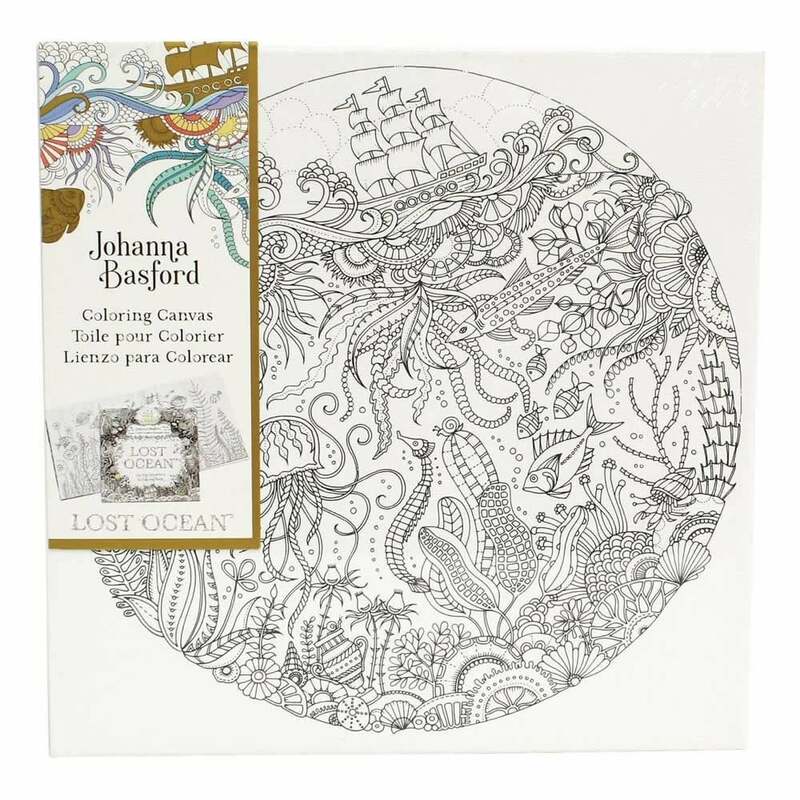 Pair Johanna Basford coloring canvas with sets of alcohol ink marker sets, pens or paint for a truly creative experience!